A briefing on new RCN guidance on fertility preservation. Early conversations about future fertility are a key aspect of care. 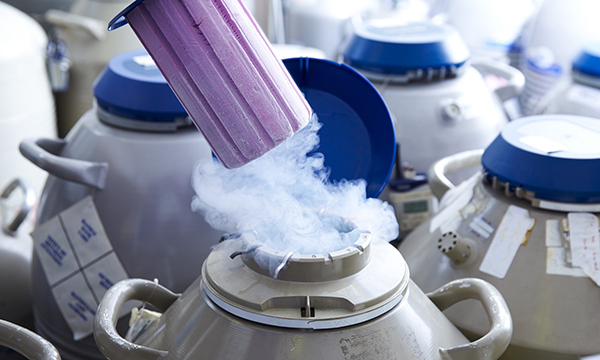 Fertility preservation involves freezing and storing eggs, sperm, embryos, and ovarian or testicular tissue for use in a person’s future fertility treatment. Both men and women may wish to preserve their fertility for a variety of reasons, including delaying parenthood and allowing treatment of a medical condition that may affect future fertility, including some cancer treatments. In April, the RCN published new guidance on fertility preservation. This provides information for nursing staff who are supporting and caring for patients beginning treatment for potentially life-limiting conditions, where treatment may adversely affect their ability to have children in the future. It also includes those who wish, for non-medical reasons, to defer parenthood, including members of the armed forces or those considering gender reassignment surgery. The document covers legal and regulation issues, counselling and informed consent, and considerations regarding the preservation of fertility for children and young people. Patients having treatment, including chemotherapy and radiotherapy, may be at risk of diminished fertility or becoming infertile. Sexual dysfunction for both men and women is a common side effect of some cancer treatments and can be a mechanical cause of infertility. Early intervention can lead to improved outcomes. Embryo freezing is the most effective treatment for women wanting to preserve their fertility. The chance of becoming pregnant depends on the number and quality of the frozen and thawed embryos and the woman’s age. For men, sperm freezing is the most effective method. Studies show that a long period of storage should not affect the ability to fertilise an egg, while sperm can be retrieved and stored from boys as young as 13. Nurses play a crucial role in the success of fertility preservation, says the RCN, by engaging patients in early conversations about its potential, ideally before any treatment has begun. Nurses should understand that while future fertility may not be an immediate priority for someone facing a critical diagnosis, having these discussions is a key aspect of care. Prompt referral to fertility services can maximise future opportunities. Nurses not working in fertility services should feel confident about raising the issue, including those working in oncology and haematology, gynaecology, children and young people’s services, and general practice. Nurses should also make sure they are aware of local services and funding options. ‘Advances in reproductive techniques and the treatment of infertility give patients increasing opportunities, with much better outcomes. In addition, cancer treatments are now much more effective, with life expectancy improving significantly for most. This means that it’s increasingly important to provide information about the options for anyone whose fertility may be impaired. ‘Nurses are well aware that they don’t have enough knowledge about this at the moment. This document is a very big step forward in providing information. All nurses in every sphere need to consider whether any treatment a patient is having could affect their fertility, and whether this should be raised with them. They also need to know what the next steps are, with clear pathways, bearing in mind that action often needs to happen quickly.